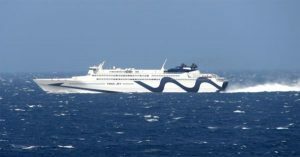 Ferry operators have announced an increase of high speed ferries operating from the port of Rafina near Athens for 2018. 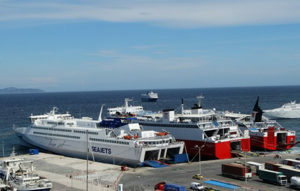 Five high speed vessels will connect Athens Rafina port to the islands during the summer. 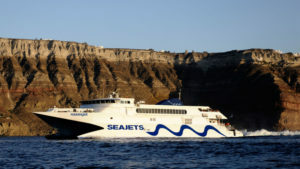 Golden Star Ferries has published ferry schedules for its high speed vessel “Superrunner” connecting Athens, Rafina port to Andros, Tinos, Mykonos, Paros, and in high season Naxos, Ios and Santorini. The Superrunner will start operating on the 4th of April. Sea Jets, will operate three high speed vessels from Rafina port. The Tera Jet, the Champion Jet 2 and the Naxos Jet. The Tera Jet will connect Athens, Rafina port to Tinos, Mykonos, Paros and Naxos carrying both passengers and vehicles starting on the 18th May 2018. The Champion Jet 2 and the Naxos Jet will connect Athens, Rafina port to Tinos, Mykonos, Naxos, Paros, Ios and Santorini carrying both passengers and vehicles. 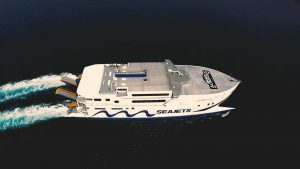 Both vessels will start operating on the 1st of June. Some schedules have also been announced for the Easter period in the beginning of April 2018. Hellenic Seaways has announced the return of the Flying Cat 4 in Rafina operating the ferry route the Mykonos, Naxos, Ios and Santorini. Schedules have been announced for the Easter period between 30th March and the 17th April and for the summer period between the 25th May and 30th September 2018. These schedules are still pending final approval. The Flying Cat 4 only carries passengers. 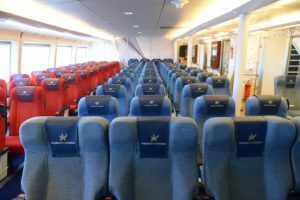 Golden Star Ferries and Fast Ferries also offer connections from Rafina with conventional ferries. Rafina, the secondary port of Athens, is on the Northeastern coast of Attica. It is further out from the center of Athens but closer to the airport. Rafina is very convenient for travelers traveling to the Northern Cyclades islands of Andros, Tinos and Mykonos as the travel time is shorter. It is also convenient for those catching a ferry a couple of hours after their arrival at the Athens airport and who wish to avoid the center of Athens. If your ferry departs Rafina early in the morning, spending a night in Rafina could be smart. The Avra hotel is right next to the port. Reaching Rafina from the center of Athens with public transport is not very convenient. From the Athens airport: Take the regional bus (Ktel) to Rafina port from the arrivals level. It runs every hour from 04:35 until 22:20. It will take you a little under 1 hour. Your only other choice is a taxi. From the center of Athens: Take the regional bus (Ktel) to Rafina port from Mavromateon Street (Pedion Areos) It runs every 30 minutes from 05:45 until 22:30. It will take you about 90 minutes. Again, your only other choice is a taxi.